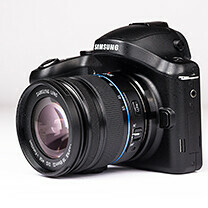 The Samsung Galaxy NX has just arrived in our hands and it is a fascinating gadget. It supports a SIM card, but make no mistake - this does not make it a phone, it’s still a camera. 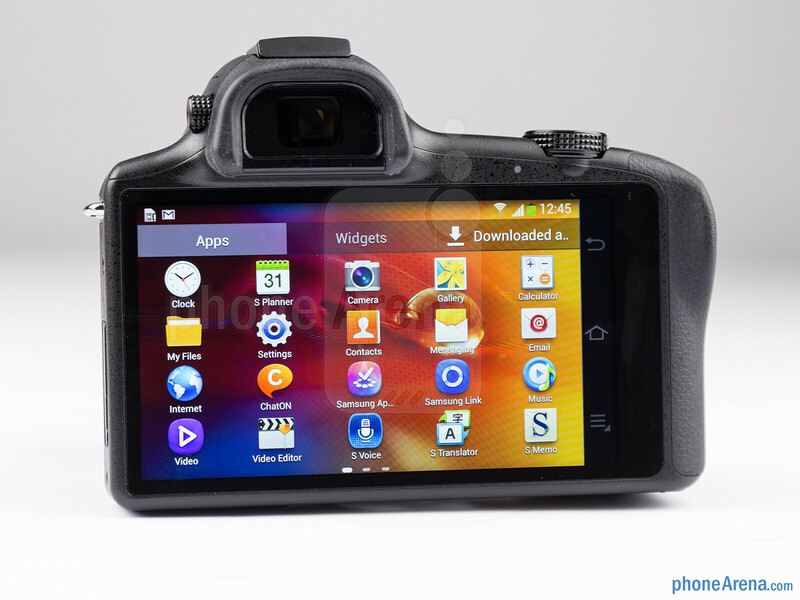 It is the first ‘serious’ camera with Android. It has a 20-megapixel APS-C (23.5 x 15.7 mm) CMOS sensor and features interchangeable lenses, but unlike other such cameras, it is running on the latest of Android allowing for on the go sharing of images and supporting all sorts of neat apps like Instagram, Facebook or YouTube. 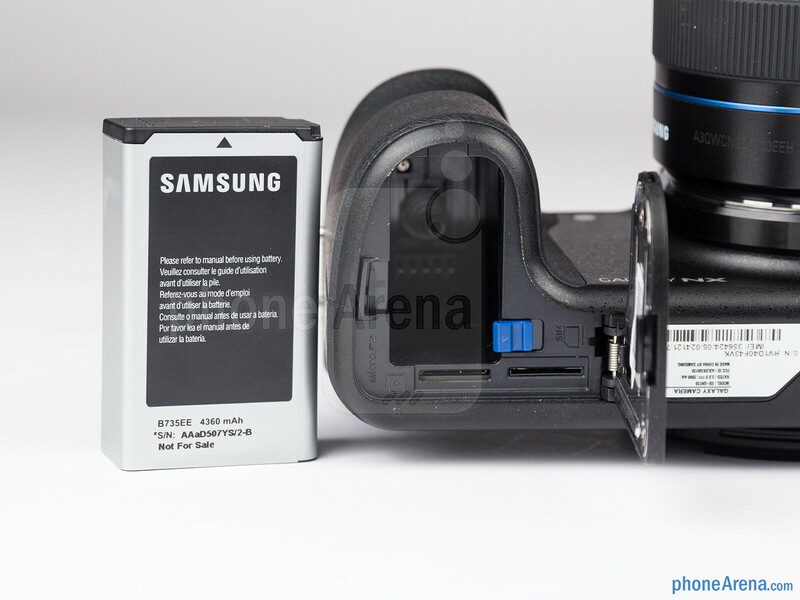 This makes the Galaxy NX a unique combination. So what does this entail? 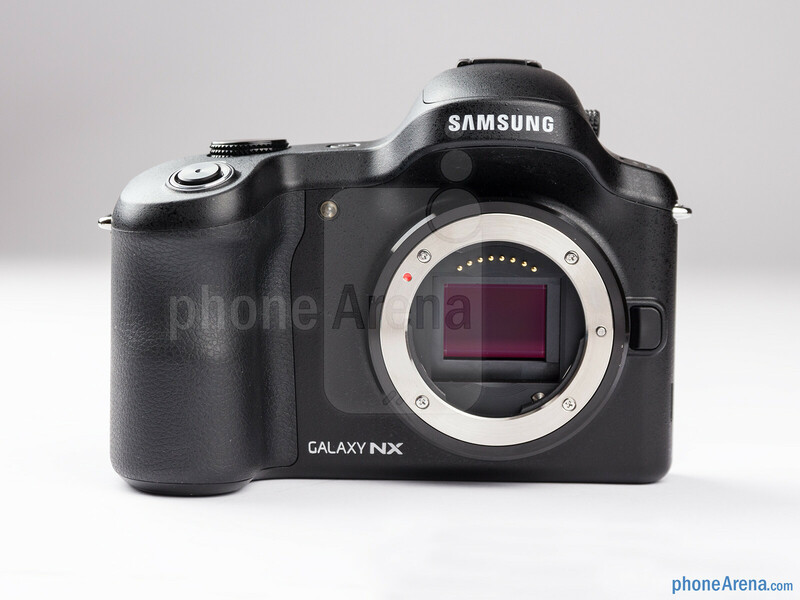 Simple - the Galaxy NX and its full-blown Android interface will allow you to customize the device as you wish and keep it relevant longer. After all, you can freely install all apps available on Google Play. After the initial shock and excitement of holding a DSLR-like camera with Android wears off, you’re in for another surprise. A huge 4.8-inch 720p HD display. 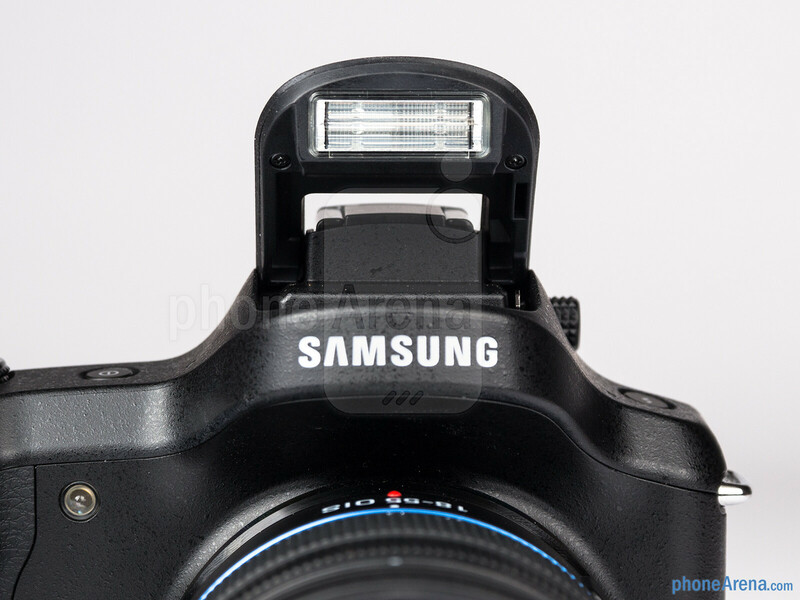 If we go back to compare the Galaxy NX with the latest Canon Rebel T4i, you’d see that even though the Rebel series have been getting larger and larger screens, the 3-inch one on the T4i looks miniscule compared to the 4.8-inch gigantic display on Samsung’s NX system. The screen on the NX is bright and vivid, extremely responsive and it’s a pleasure reviewing photos and videos on it. 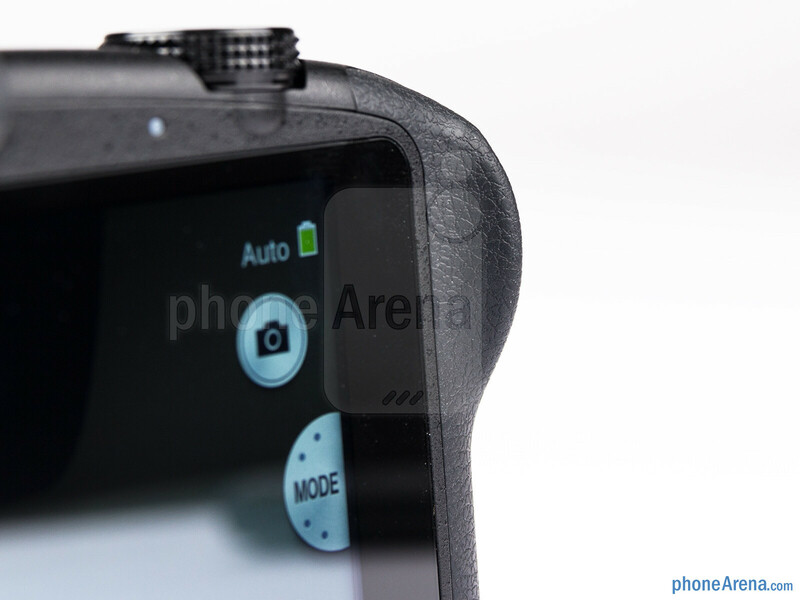 Naturally, it’s a touchscreen and naturally it is the way to interact with the camera. Instead of physical buttons and dials, you have the display (there is just a single dial on top). It’s hard to say whether a display is the best way to work with a camera and we can already hear photographers objecting that it’s not. 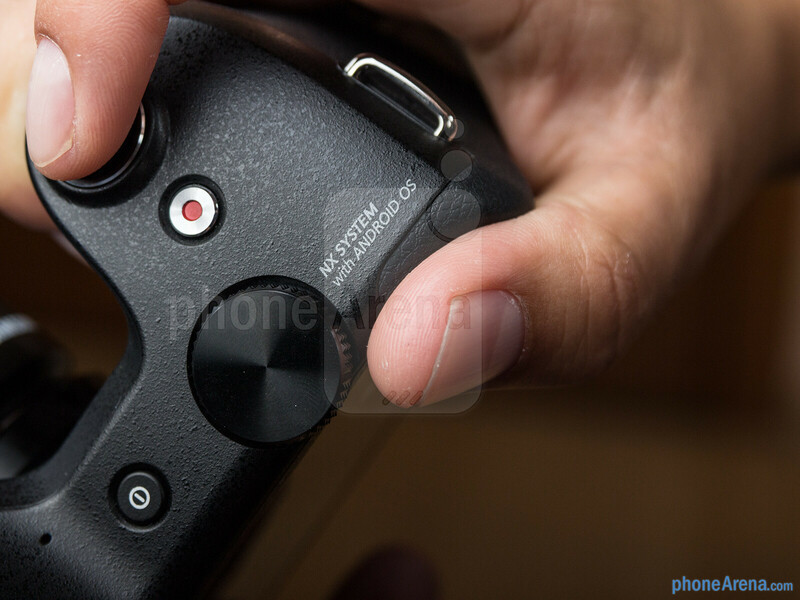 After all, a physical button provides a much quicker way to change settings and once you remember its position you can change those settings while you look in the viewfinder, without wondering where to press. That is simply impossible on a touchscreen where you have to look at it every time you make adjustments. 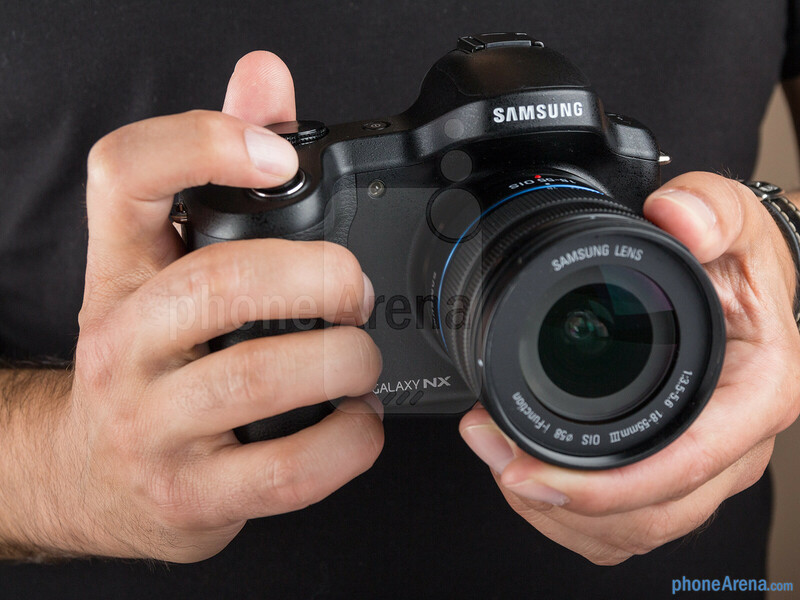 The Galaxy NX uses the Samsung NX-mount system for lenses and there is plenty of variety with 11 compatible lenses. 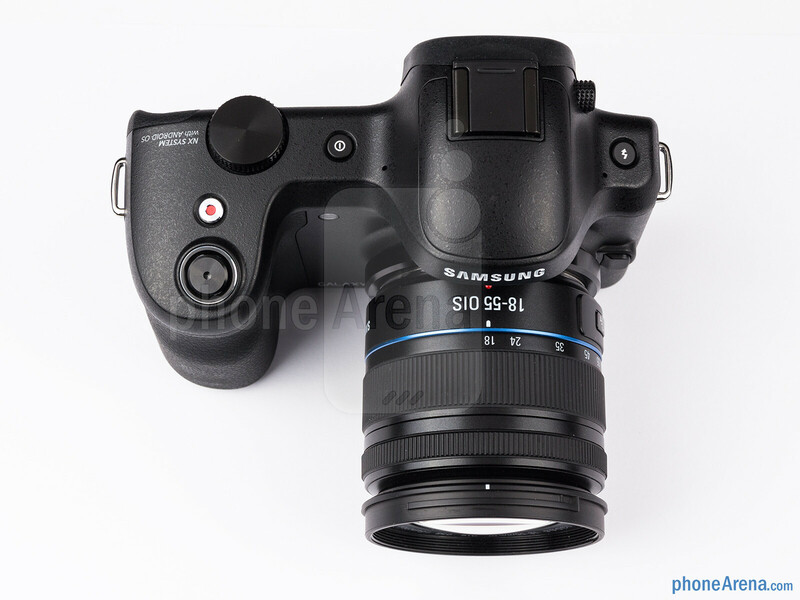 We have the kit 18-55mm (f/3.5-5.6), which features optical-image stabilization. if you can see difference between cameras on phones, you must see much greater difference between dslr and cameraphones. Even compact digitals have nicer amount of details than cameraphones. 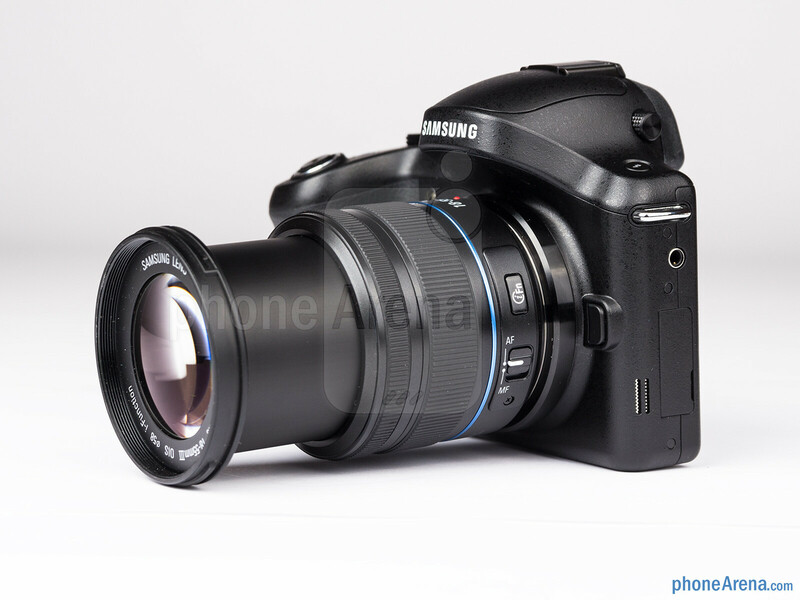 S4 haves 31mm f 2.0 bsi sensor size 1/3" and crop factor of 7.21, compared to Galaxy nx that haves aps-c size sensor with 1.5 crop factor. Take a little better look at those photos. Fail. Think of it this way. 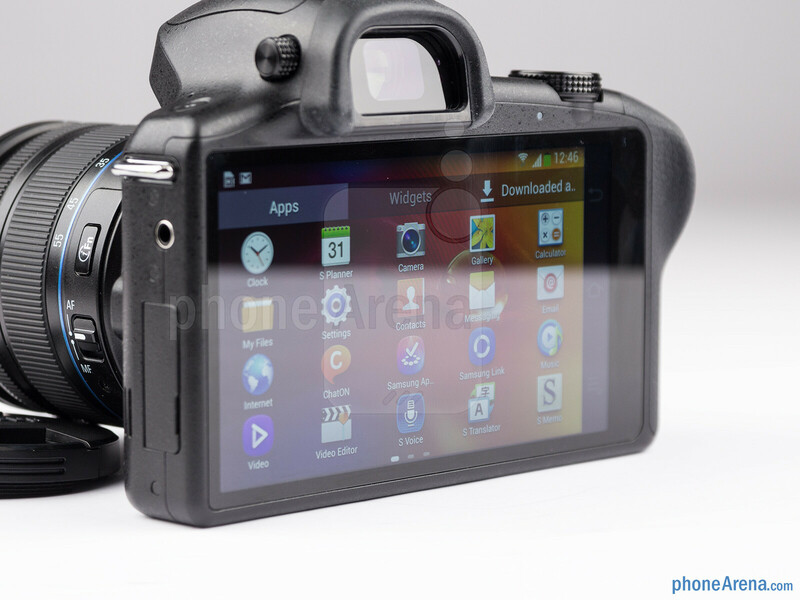 If this device sells for 600 bucks, and there is another canon or nikon at the same price, they'll offer better image quality, because instead of having big display and a processor for running android, they'll have better optics for the same price. Add to that the fact that no professional photographer wants to upload photos to instagram immediately, atleast not without observing it on computer or any big screen first. I'm no samsung hater, their phones have great cameras, but this android camera thing is just useless. Can you tell me some? Some examples, you mean? Well my father got eos 550d last year for about 600 and it surely offers better photos than this camera. Also, at first I thought this nx is going to offer better images than ANY phone ever, because of the sheer size of it. But now after seeing these samples, I think 808 MIGHT, just might best it. There's the advantage of interchangable lens, but they are very expansive and this camera is simply not worth it. I'm not confident in this camera. It's useful to have a very responsive machine and nice screen, but if I want to take pictures, with a DSLR, I will search for a camera with better optics first. Also, all the recent DSLR doesn't lag like Android. I know a lot of people will fall into the trap because of Android on this camera, but it is not at all the best for the price it is. Your message is full of nonsense because the fact is that putting a 1.6Ghz Quad Core CPU, an Android and keep all this sh*t for a price of 600$, they had to remove some IQ things to keep this price low. A simple phone with this power is already bad expensive. 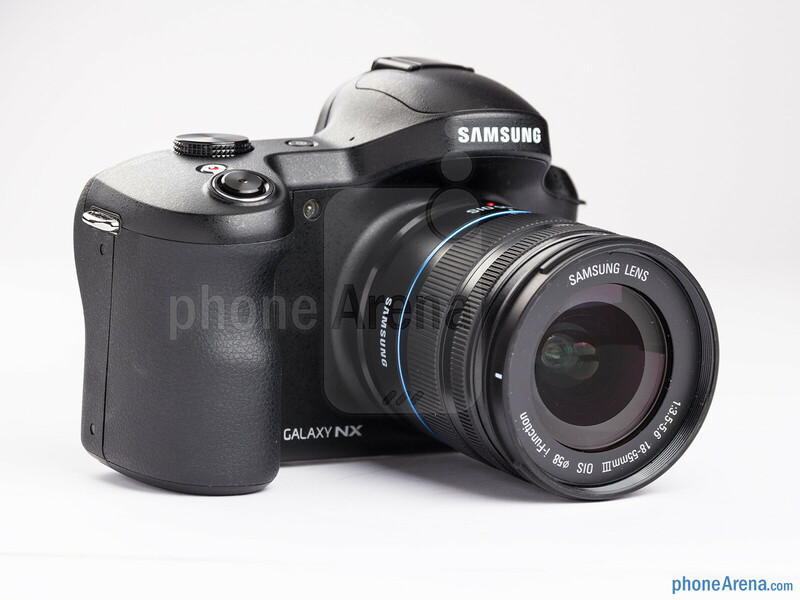 Secondly Samsung is not known to be good in theire DSLR IQ. So if they have to remove things to put Android features it is worst for theire camera. And NO, entry DSLR buyers get first these type of camera for Photoshopping witch has nothing to do with sharing in first place, or they would buy a simple compact camera with all the Facebook features. The problem with this camera is that the marketing budget seems to be higher than the IQ budget. 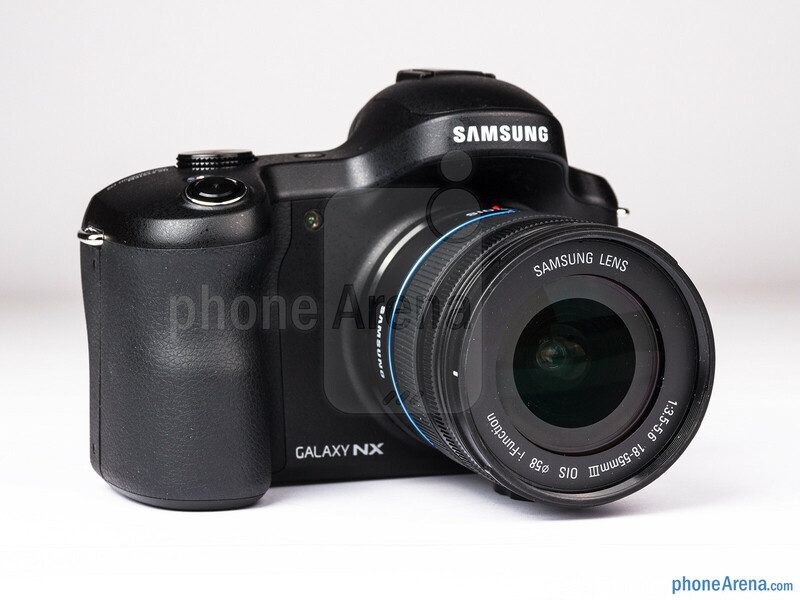 For the moment I can't say if it's good (past Samsung's camera tells us that there is many chances that's it's not), but we must warn everyone that it's maybe not the best for 600$. .....Did they remove that IQ using a shovel? 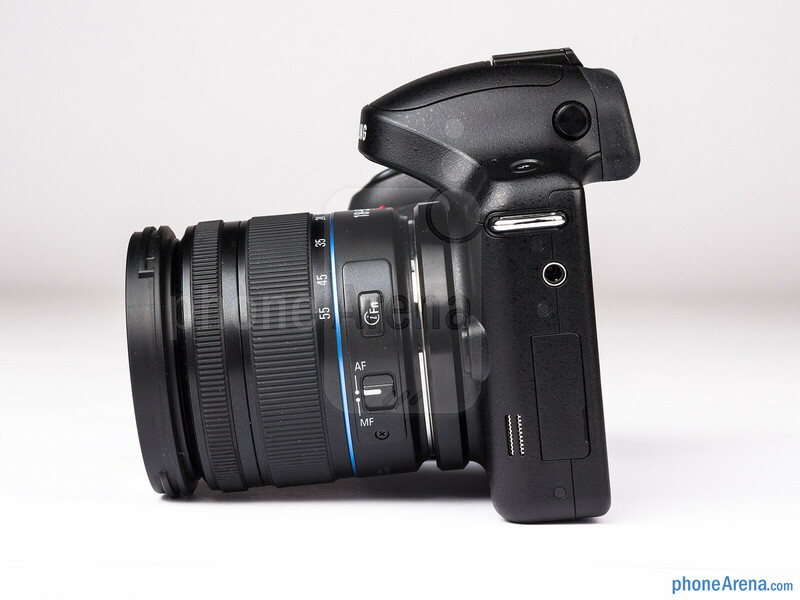 The electronics in a dslr are equally expensive. Being able to output images at high resolution in raw while bursting requires a serious computing power. Just because a dslr doesn't flaunter terms such as "quad-core" doesn't make it a slouch, or cheap for that matter. Should I also add the fact that that CPU has a much higher production rate than the one you get in a DSLR, keeping the costs down? And that the cpu from a dslr is designed internally for a specific range of products, instead of being featured in phones/tablets etc. 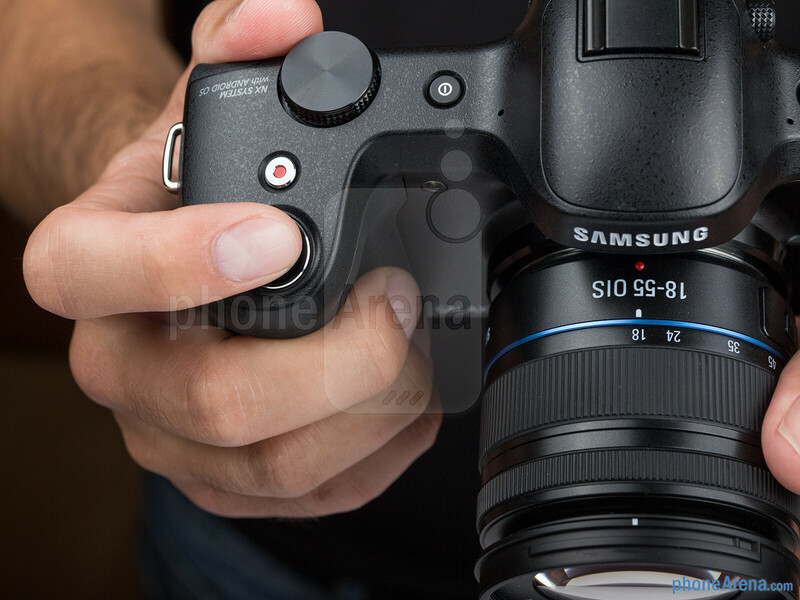 (that increases the cost) Samsung doesn't make DSLRs in the first place (they stopped a long time ago), and that sensor is on equal footing with the likes of D3xxx, perhaps D5xxx and most Rebels. You can check the studio comparison tool on dpreview. If there is one thing which Samsung does most of the time well, despite much of the hate against the brand, is pricing adequately. You forgot to add the extra "brand" image you pay for a cheap Nikon/Canon camera. Comparing it against an entry level Pentax and perhaps Sony alpha or Nex/MFT (if you prefer mirrorless) might make it more realistic, since they offer better value for money. I can't possibly take you serious when saying that first time buyers are not interested in connectivity. Manufacturers are adding Wifi and nfc in almost all their cameras because.....they don't have a better way to justify the price? Connectivity does not mean facebook, but being able to output your image directly on a tablet/tv, or share it with a person without using cables/sd cards. Most dslr buyers don't even process raw, and instead shoot in jpeg directly....so they can edit in photoshop? You think the main motivation is to upgrade the camera so you can edit its photos? You upgrade from a smartphone camera because you enjoy shooting, and want better control over your photos, NOT to spend hours in editing software. Very few people do that. I hardly know any people that post-process their images. And the incentive is to migrate more advanced editing software from pc/mac to tablets, and inherently that camera which is running android. That should still give it an advantage. Raunak, you can say fail all you like, but this is where the future is headed. Canon and nikon can ignore and do their thing, but remember kodak. I'm wondering about the screen in bright sunlight. If it is not any better than my S4 then it would be very hard to use in bright sunlight being as most of the controls are on the screen. No mention of this in review. Seems like they would have at least touched on this in the review. I thought this is a phone site and why are they reviewing a camera? I agree, but it seems that they are one of the first to review it so I'm happy, but I'll wait for camera sites to have a better idea. Canon and nikon diehards will stay with their cameras no matter what. Samsung is going after people who embrace new tech. This is just marketing hype, nothing more. 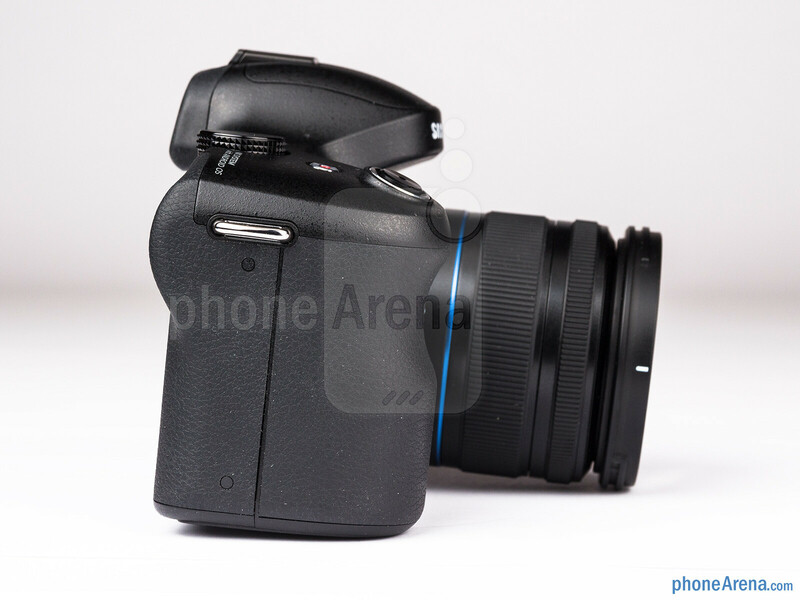 Mirrorless is a new tech, good IQ in smaller package with the same aps-c sensor. 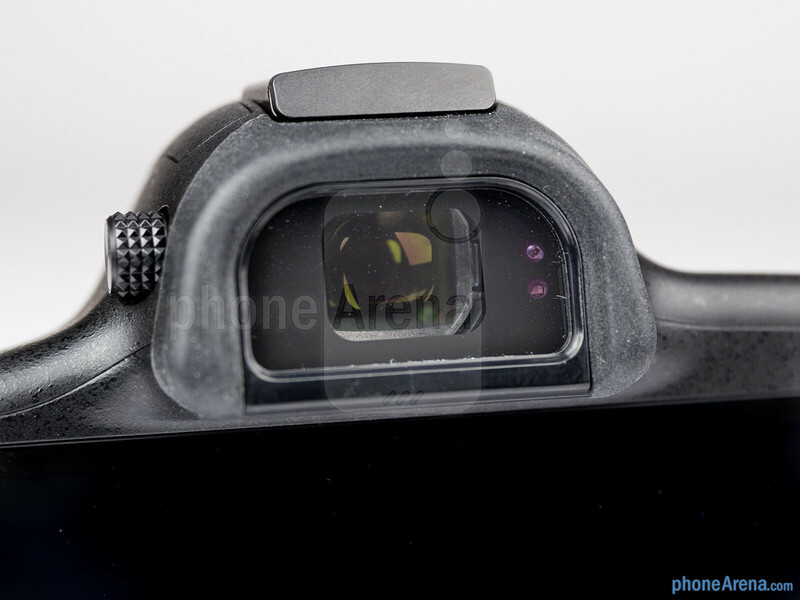 Fuji with his new sensor is a new tech. This isn't bad idea, but it isn't good also. 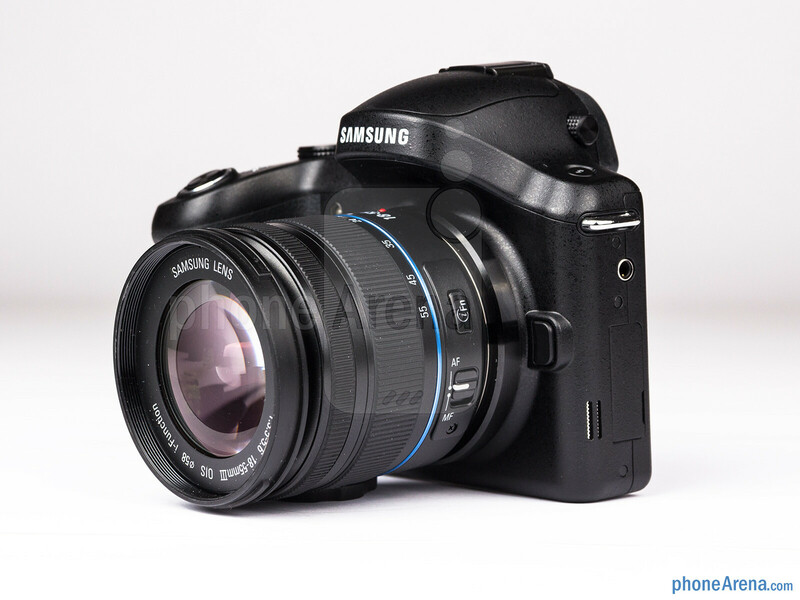 This is a dslr for samsung lovers. I had samsung phones, and used all from s1 to s3, galaxy nexus and note also, so i am not a samsung hater, they just makes worst cameras of known brands. What's the optical zoom capability on this bad boy? With that lens it should be 3x.